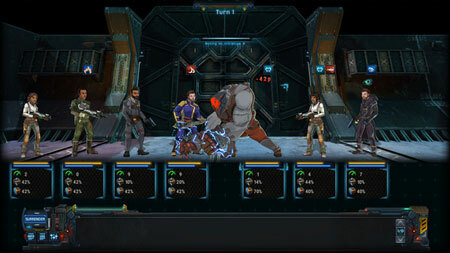 Star Traders: Frontiers is an epic space RPG developed by Trese Brothers. You are the captain of a starship venturing through a massive open universe. Customize your crew and take command at the helm of your very own ship as you explore a galaxy torn apart by internal strife, alien threats, and political intrigue. Command your ship and crew as a space pirate, merchant, bounty hunter, and more. Venture forth into a massive open universe, rich with adventure and the lore. Choose your path by assembling and commanding your custom crew and spaceship in a constantly evolving galaxy torn by internal strife, political intrigue, and alien threats. Discover endless procedurally-generated galactic maps, meet unique characters, and take on enemies to conquer the galaxy. Take on the role of a spy, smuggler, explorer, pirate, merchant, bounty hunter, and more. Decide to make friends or foes with other factions and influence political, economic, and personal vendettas. As you make decisions and set the tone for your ship, your crew will grow and change to match. Destroy enemy ships with all hands on deck and your crew will become more bloodthirsty and savage. Explore distant worlds and loot dangerous wastelands and your crew will become intrepid and clever or scarred and half-mad. If you get stuck in the game, check out the video walkthrough and gameplay for the game. This entry was posted in PC Games, Walkthrough and tagged Star Traders: Frontiers Cheats, Star Traders: Frontiers Game, Star Traders: Frontiers Gameplay, Star Traders: Frontiers Guide, Star Traders: Frontiers Hints, Star Traders: Frontiers Review, Star Traders: Frontiers Solutions, Star Traders: Frontiers Strategy, Star Traders: Frontiers Tips, Star Traders: Frontiers Walkthrough by Marvin. Bookmark the permalink.